It’s not a secret that I am not usually the one to review games, but when I received an email offering me the chance to become a giant robot with the power to stomp around tiny planets, paying little heed to the towns of the inhabitants while battling the giant monsters infesting these worlds, how could I resist? But was it really going to be as action-packed as the premise promised? I fired up Jettomero: Hero of the Universe and found a cell-shaded world inhabited by a single giant robot, who was suffering from a very common protagonist affliction – amnesia. Completely lost for what his purpose is, Jettomero starts wandering around the planet trying to find any meaning. After stomping for a while, I realised that what appeared to be a 2D cell-shaded world could, in fact, be rotated and was, actually, a fully 3D globe which could be stomped by the giant robot. After collecting enough fuel containers to leave the planet, and collecting some snazzy new parts to customise the look of Jettomero, I left the planet and journeyed further afield looking for meaning in the universe. After a while of soul searching, Jettomero comes across a giant monster, rampaging on a planet and discovers that he has the power to shoot lasers from his eyes. This takes the form of a button combination mashing game, as the two titans of power collide. As the dust clears from the destruction of the monster, something triggers in Jettomero’s memory banks. 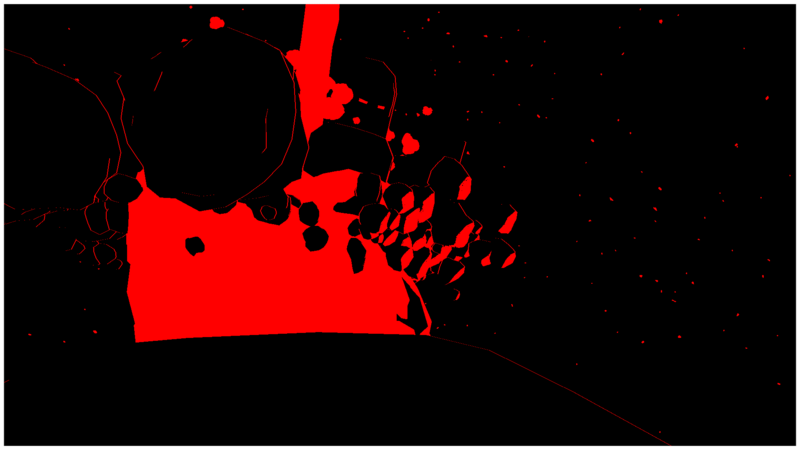 Now launches one of the big game mechanics of Jettomero. You are given a paragraph of text that has been scrambled, with a number of sliders that can be adjusted that shuffles the letters around until you correctly reassemble the text of the memory and are presented with a comic page illustrating the new knowledge that Jettomero has now learnt. And then this sequence basically repeats as you continue to work your way through the universe, having worked out that you are meant to clear the planets of these giant monsters and save the human race from them… despite them instantly launching their armies against you, a minor annoyance for a robot of your size and power. Each time you fire your eyebeams, a new memory is unlocked and a more complex version of the cypher game to descramble the information. People often seem to notice when Jettomero arrives… Not sure how. 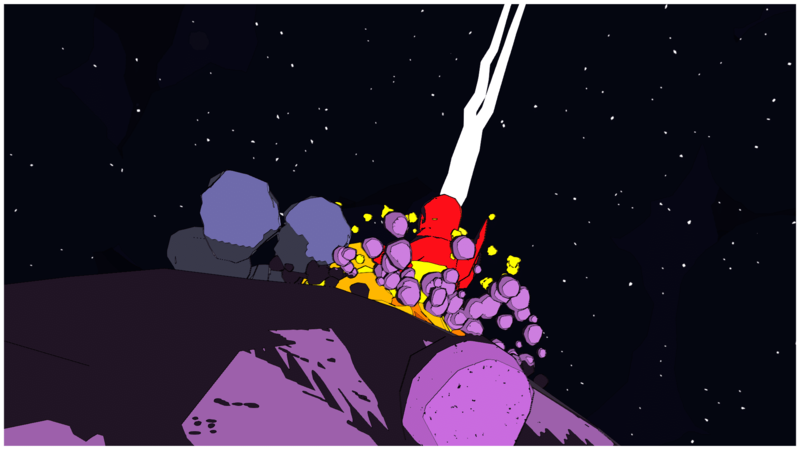 Jettomero: Hero of the Universe is a game from one man, game developer Gabriel Koenig, who turned to Kickstarter to help fund the development of Jettomero, and continue eating while putting the finishing touches on the game. The game has been in development for over 2 years. Jettomero will be launching on the Xbox One, PC, Mac and Linux, and Gabriel will be porting the game to the PlayStation 4 later this year. The game has already been translated into a number of languages, and Gabriel is contemplating adding a Time Attack mode to the game post-launch, depending on the reception of the game. The narrative element of the game is gripping, with the mystery of Jettomero slowly unfolding before you as he travels through the universe, which held me for longer than the gameplay did. The gameplay became a little repetitive, and some of the latter cypher sections were incredibly fiddly with the controller setup. 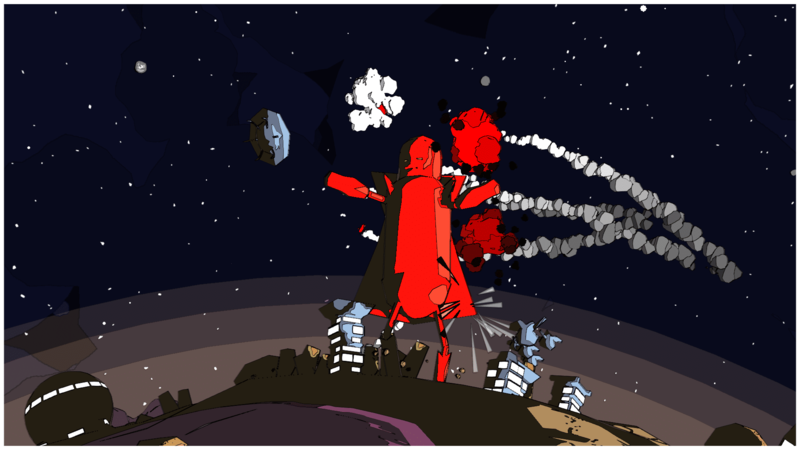 The artistic style of Jettomero: Hero of the Universe is very strong, and a photo mode allows you to freely move the camera around Jettomero and play with the filters to set up the perfect images. The music is very chilled out and fits almost perfectly with the floating through space action. The sound design of the stomping and the laser eyes is perfectly on point as well and really adds to the feel of being a giant robot accidentally, clumsily stomping around tiny planets. A more artistic view of the previous landing. Reminds me of something from Sin City. Jettormero: Hero of the Universe is a very narrative heavy title, and that is going to be the driving factor behind you coming back and playing more. Personally, now that I know the twist in the storyline, I don’t see that I’ll be coming back to the game much. Gabriel has spoken about adding a speed run mode to the game that will help with bringing people back to the game. There are over 80 collectables within the game, but they are only cosmetic and I cannot see any reason to hunt around for all of them, especially if you find a combination of parts that appeal to you. I would highly recommend playing with a gamepad as the control system is heavily geared towards this. The keyboard controls don’t utilise the mouse at all, even in the menus and this is a little odd, in my opinion. Jettomero: Hero of the Universe is an interesting game, with an intriguing and emotional storyline that is worth the price of admission. Gabriel, the game’s developer, has said that a standard playthrough will last between an hour-and-a-half to three hours. If speed runs appeal to you, then the talked about speed run mode might add more appeal to the game, after you complete the main story. 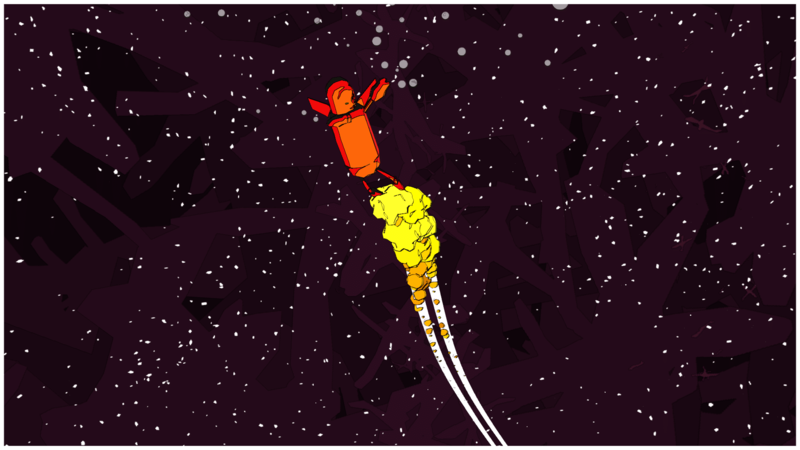 Some of Jettomero’s many admirers offer presents for his rescuing of mankind.